Rimmel is one of my favourite drug store brands, so I had high hopes when I finally picked up the liquid eyeliner. I should also point out that I had never really been a fan of liquid liner previously, I normally use a pencil or gel. The effect with the gel was always dramatic and long-lasting enough for me. Anyway, here we are. Application was smooth and easy and the formula was quick-drying. I was able to make the outline and fill in with getting eyeliner all over my eyelids – yay! And even it did get on my eyelid (sigh) it was easy to remove with a q-tip before it dried. People also noticed the liner and commented on how good and dramatic it looks. But the true test – how long does it really last? Below are “after” pictures from another occasion with the liner still going strong. And you can tell by the shine and glare on my face that it was quite a few hours after the original application. SO even with super oily skin and someone who tends to have to rub her eyes constantly (damn those fly-away lashes) the liner lasted and still looked good by the end of the night! Added to that, it’s affordable at under $10. This product is a definite GET IT! Okay, this one is going to be a combo because I use a different moisturizer in the day than the night. I found both of these products at my favourite store – Winners – for under $10. The moisturizer is very light-weight and goes on smoothly. My skin feels fresh without getting that oily feeling that comes with most moisturizers. 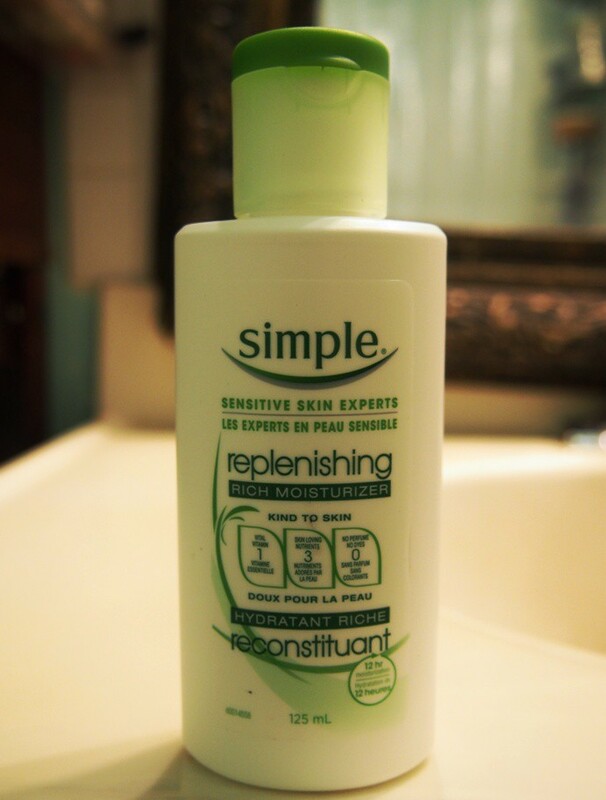 It leaves my skin feeling smooth without any buildup (my pores do not feel clogged)! It works well with my primer before I do my makeup. I like this moisturizer a lot. Quinoa (meaning ‘mother grain’ in the Inca language) is one of the healthiest grains, with a very high nutritional value. It contains an incomparable amount of vitamins (A, B2, E, D, F), minerals and essential amino acids that the human body needs but is unable to produce itself. All these endow quinoa seeds with their cosmetic properties, including day-long moisture-retention, protection against environmental damage, skin repair, firming, and revitalization by eliminating wrinkles and age spots. Combined with innovative technology, the Frulatte Quinoa series is a wonderful addition to skincare providing a range of products with greater skin protection and a more visible lifting effect. The text is a little thicker (so a little goes a long way) and I feel like this product really helps to keep my skin soft and smooth. If I come across any other products from this quinoa line, I’ll be trying them out! Both these products pass; in other words they are rated: GET IT! GIFI time again. How are we one month deep into 2016 already? Can someone please let me know? January felt like a whirlwind, but I still made time to pick up some new drug store products and gave them a test drive. Here we go. NYX Slim Lip Pencils are fantastic. Definite Get It! status. They are super affordable (I usually find them for about $5 at the drugstore, and frequently on sale) and they come in a beautiful array of colours. They wear fabulously, and are creamy and pigmented on the lips. I would compare them to MAC lip liners and say the only difference would be that the NYX ones are less drying. I own many colours and use them to change the shades of lip colours, wear them alone for a long wearing matte shade and line my lips to create depth and prevent colours from bleeding throughout the day. Now that we all know the Slim Lip Pencils are winners, I want to look specifically at a particular shade called 1000 Years. 1000 Years is a unique shade, similar to discontinued MAC Stone liner. 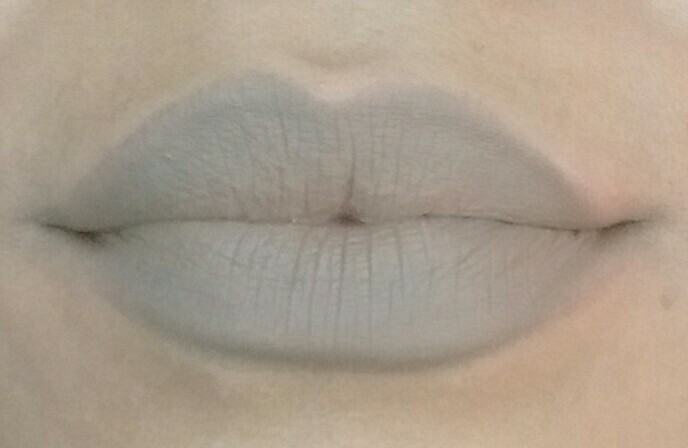 It is a cool toned grey taupe colour. At first glance, 1000 Years doesn’t look very wearable. However, I found it to be super versatile and handy with many lip colours. The reason, is that the greyish hue is actually the same colour as a shadow would be. Stay with me here. In the same way that contour makeup shades can create depth and shadow to the shape of your face, 1000 Years adds depth and shadow to the lips. The result is subtle and can help lips to appear fuller and more polished. A handy alternative (or companion) to the trendy over lining that Kylie Jenner has made popular. My go to everyday lip colour is Crème Brulee lip butter from Revlon. Here is Crème Brulee on my lips with no lip liner. 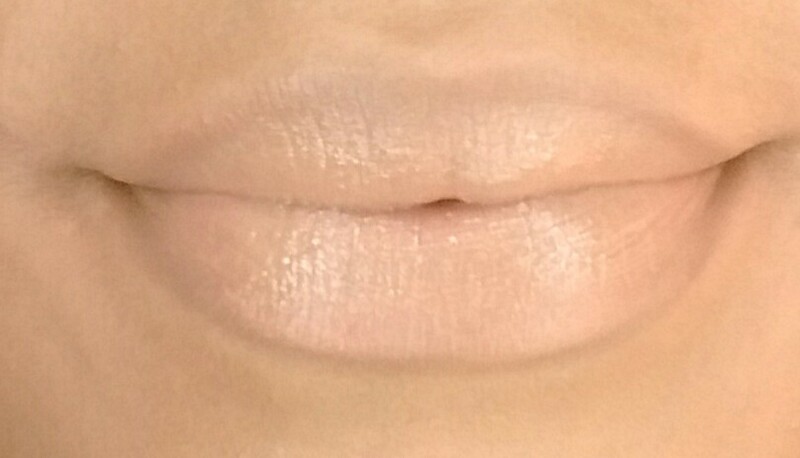 Here is Crème Brulee with the NYX Slim Lip Pencil in 1000 Years as a lip liner. 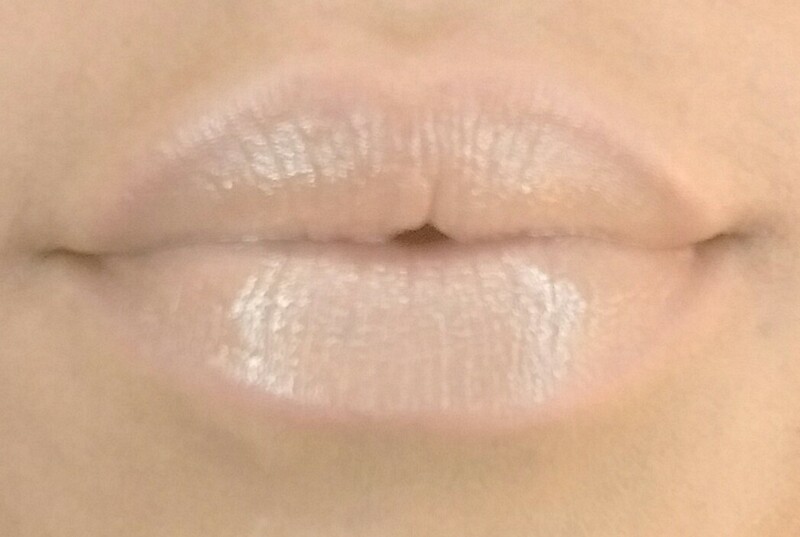 The difference is subtle, but I think it makes my lips look a touch fuller and more polished. The liner also helps the lip butter to stay in place and in my opinion wear longer through the day. Here is 1000 Years worn alone on the entire lip. 1000 Years is a unique, affordable, high quality lip liner that would be a great addition to any makeup collection if you’re just looking for an easy peasy way to make your lips a little more luscious looking. GET IT! If you read the blog regularly (thank you!) you are aware that my face basically has oil slick status. For that reason, I am always happy to incorporate products that help my makeup stay put, and my face stay matte into my beauty regimen. I love facial sprays because they not only help with this, but they are also refreshing on the skin and help powder products to blend and look more natural on the face. Some popular facial sprays include MAC’s Fix + , Urban Decay Makeup Setting Sprays and newer drugstore offerings such as L’Oreal Infallible Makeup Setting Spray. These are all pricey, even the drugstore option rings up at a whopping $18. Sheesh. So, I was happy to give Elf’s Mist and Set a try. The Mist and Set is only $3. HUGE difference. 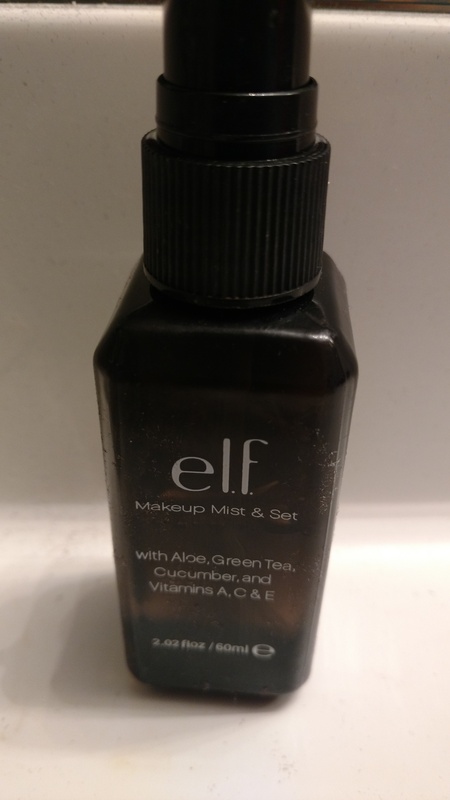 The Mist and Set is described by Elf as invigorating mist moisturizes and soothes the skin with key ingredients Aloe, Green Tea, Cucumber and Vitamins A, C & E. The formula promises to be lightweight, comfortable and alcohol free and should improve makeup wearability and prevent colours from running or fading. First off, this product is pretty teeny at 60 mL, but hey… its three dollars. I have heard some people complain about the smell of this product so I cringed at first application. But it honestly has no scent to me. So, I wonder if the formula changed in response to negative feedback. The mist sprays nicely and feels very refreshing when applied. I feel like it definitely works to help “melt” powder products into the skin and prevent the dreaded cake face. However, I truly don’t notice any increase in wearibility or preventing colours from fading and running. I see zero difference in my makeup throughout the day when I use the Mist and Set versus when I do not. I appreciate that this product contains beneficial skin soothers like aloe and green tea. I think this may be a nice spray to pop in your fridge in the Summer months or bring along on a dehydrating beach day or a long flight when your skin could use a pick me up. For the low price, why not. But I truly was looking for a makeup setting spray, and I can’t really say that it did that for me. So after testing the Elf Mist and Set for those needs….I’m going to FORGET IT! I loooove liquid eye liner — I wear it everyday! Unfotrauntely this specific one came me a weird allergic reaction so it’s not for me. I use the CoverGirl Bombshell one and it does the trick! I also have the Elf spray and use it from time to time but I agree that it smells kinds of weird lol!